At Springwell we firmly believe children need to be equipped with the skills and attitude needed in a forever changing inter connected world. Springwell Special academy has developed a curriculum rich in opportunities to explore and understand the global dimension in education. From taking part in fair trade activities to litter picking or by sending letters of support to refugee camps in France, the children have opportunities to develop empathy, a sense of justice, care for the environment, rights and responsibilities, global citizenship or sustainability. Since January 2016, The Learning Community has been awarded the Fair Aware Award and the Eco School Award. The school is registered with the Global Learning Programme and some children have just taken part in the “Send your friend to school” national campaign. 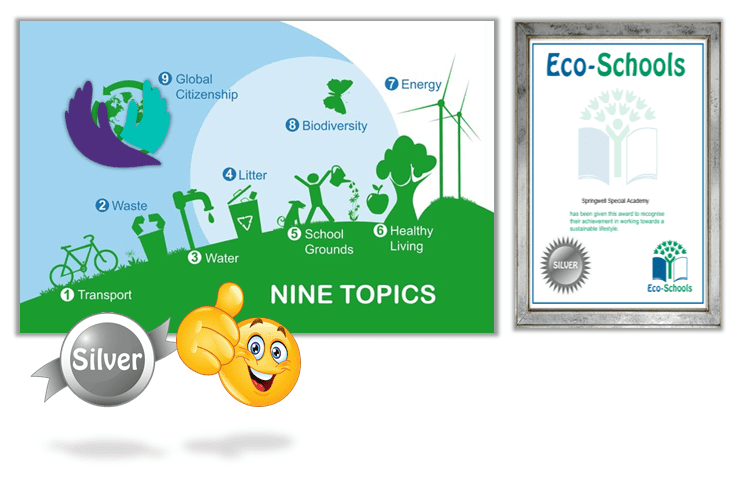 In February 2017 as a result of the hard work by the dedicated School Council around the topics of recycling, biodiversity, healthy living and sustainable energy, Springwell achieved the Silver Eco School award. We are very proud and llook forward to going for gold next year! 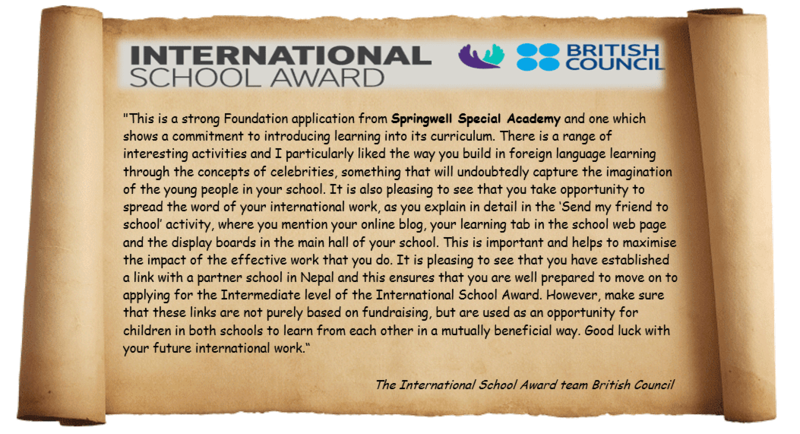 Last Summer we were delighted that the school successfully met the criteria for the Foundation level of the British Council International School Award. Here are the assessor’s comments on the application. Please see below for our outstanding films that we produced to help spread awareness around vital environmental issues. We hope you enjoy them.